Christmas comes twice a year for vinyl junkies, audiophiles and music geeks around the world, who can’t get enough of the tactile delight one gets from placing a record onto a turntable and watching it spin. The first “Christmas” is the official Record Store Day that falls on the third Saturday in April of each year. The second “X-mas” falls on Black Friday (this year on November 27th), when all of your favourite independent record retailers open a bit earlier to sell, amongst other things, exclusive vinyl and rarities. This year has some pretty cool picks. 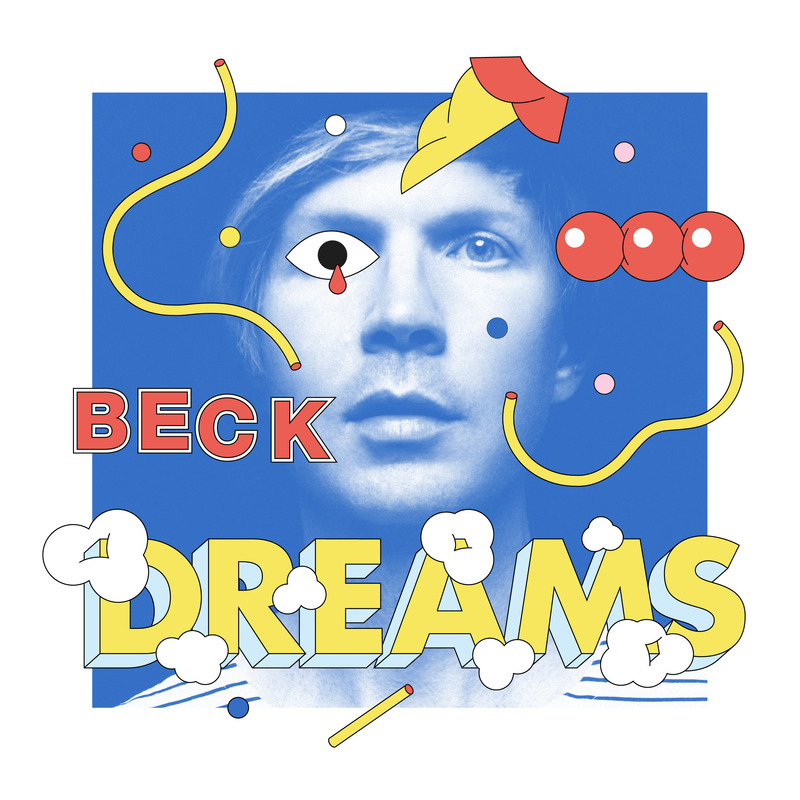 First up is the Beck single “Dreams.” Originally released only as a digital download, “Dreams” now gets an extra special treatment. It is being newly released on 12 inch blue 180 gram (audiophile) vinyl with a “puffy sleeve” and download card. The b-sides will include an a cappella version and instrumental of the popular Beck hit. 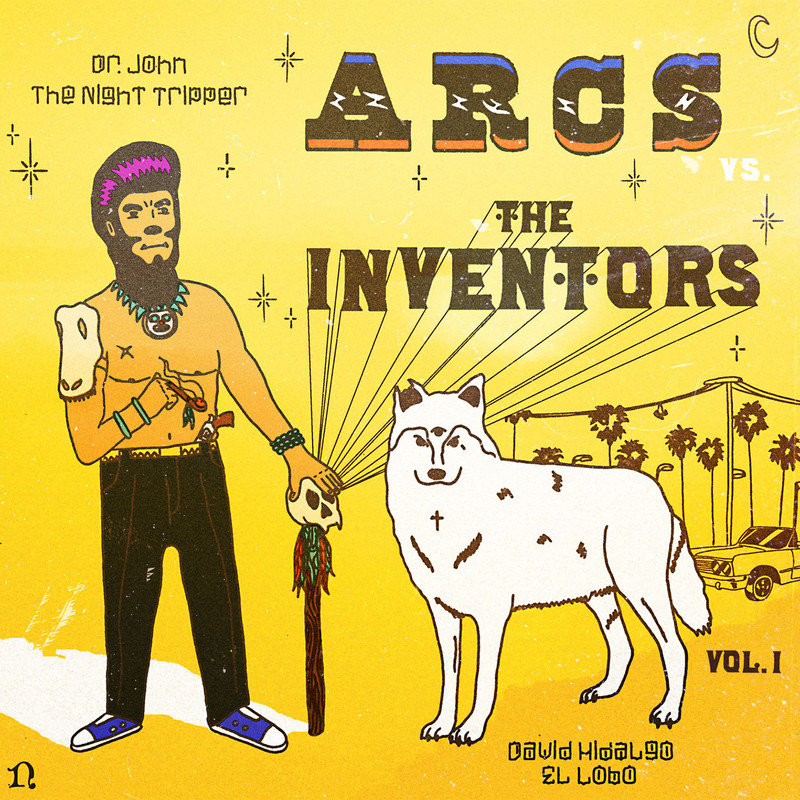 Right on the heels of their newly released debut Yours Dreamily, Dan Auerbach’s The Arcs are teaming up with Dr. John and Los Lobos’ David Hidalgo to release the first in a new series of tunes. Entitled The Arcs vs. The Inventors vol. 1, this ten inch record will include 6 new songs and will be followed by digital releases in the months to come. 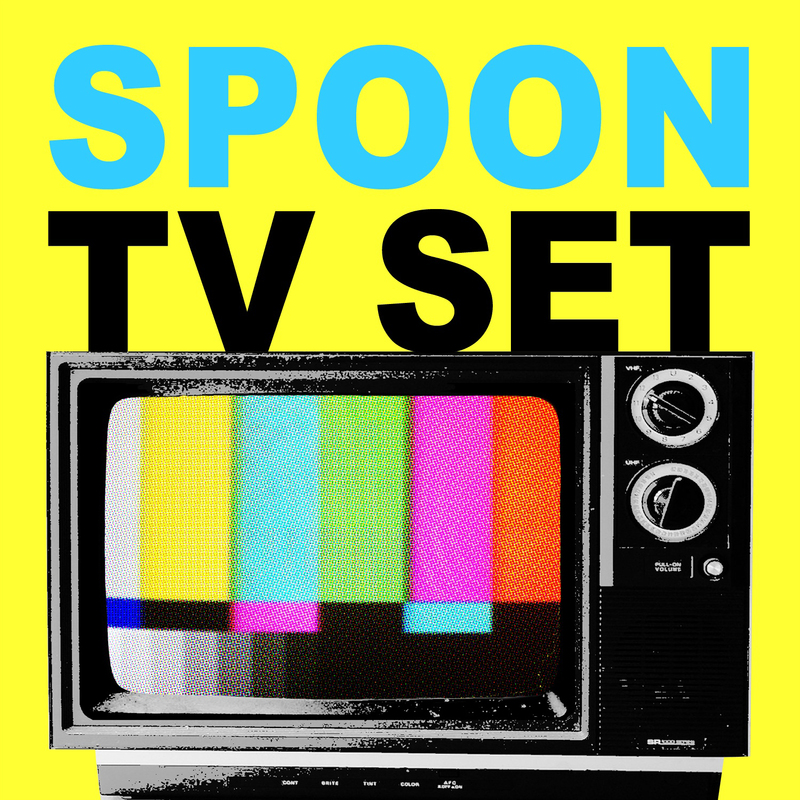 Finally, Spoon is releasing a cover of The Cramps legendary “TV Set.” Originally found on the soundtrack of the Poltergeist remake, “TV Set” will be presented on 10” deluxe colour wax with a spot gloss jacket. The B-side is a reworking of the “fan favorite” song “Let Me Be Mine” from their last release They Want My Soul. For you “Spirit Of Radio” fans, some pretty exceptional limited stuff will also be hitting the streets. 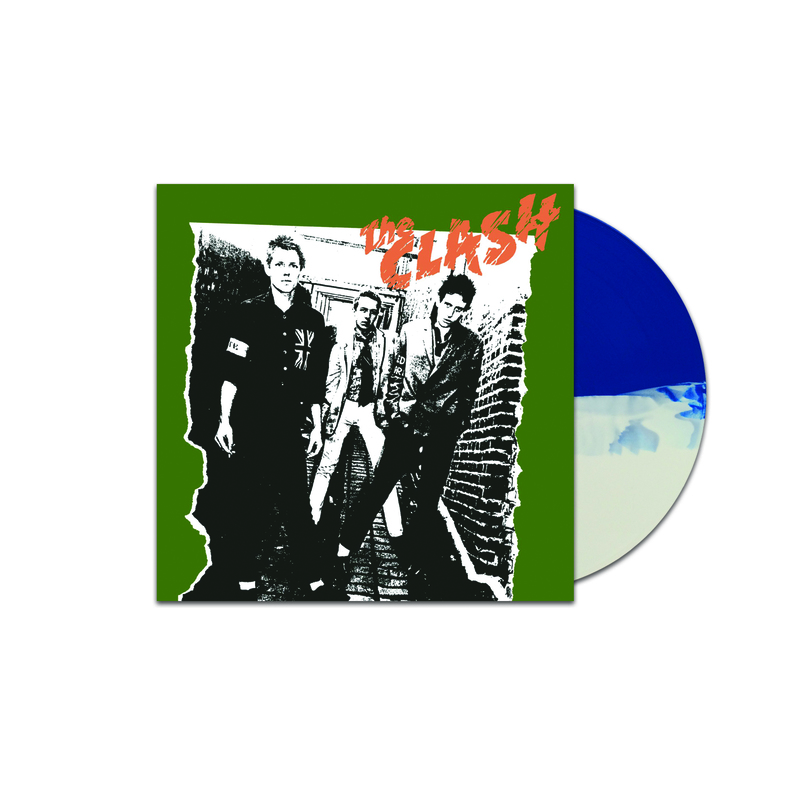 Perhaps the overall coolest thing RSD has put out recently is the self titled debut of The Clash. Limited to 5000 copies, it is a split “White Riot/Protex Blue” coloured edition. Any fan would love to have this under their Christmas tree. If you’re a Nine Inch Nails fan, it will also be a great day for you. 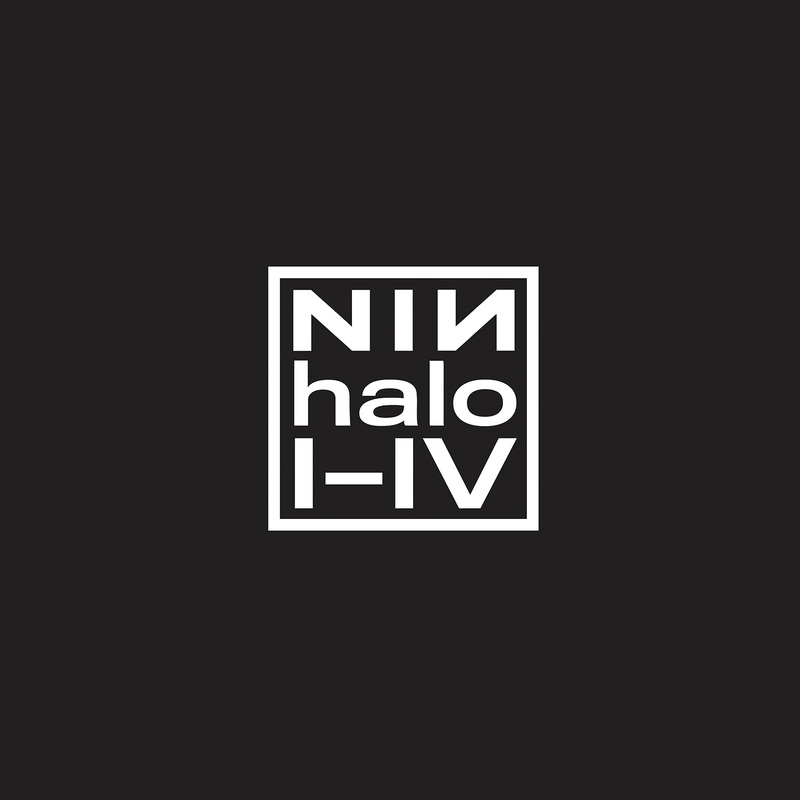 The Halo I-IV box set is being released on vinyl. 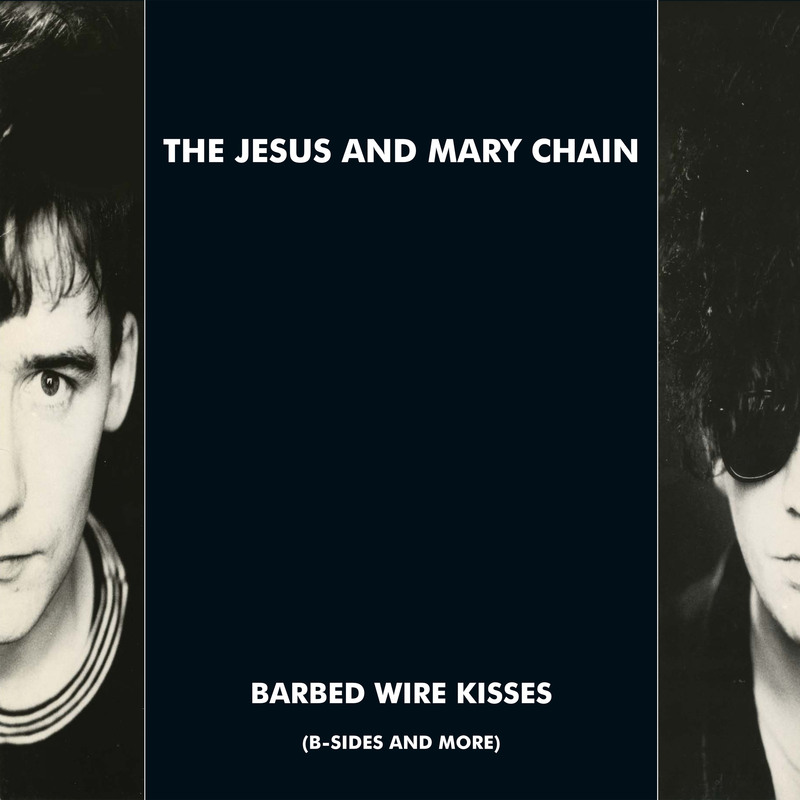 It contains 12” single versions of “Down In It”, “Head Like A Hole” and “Sin” on 120 gram vinyl as well as the 1989 version of Pretty Hate Machine on 180 gram wax. 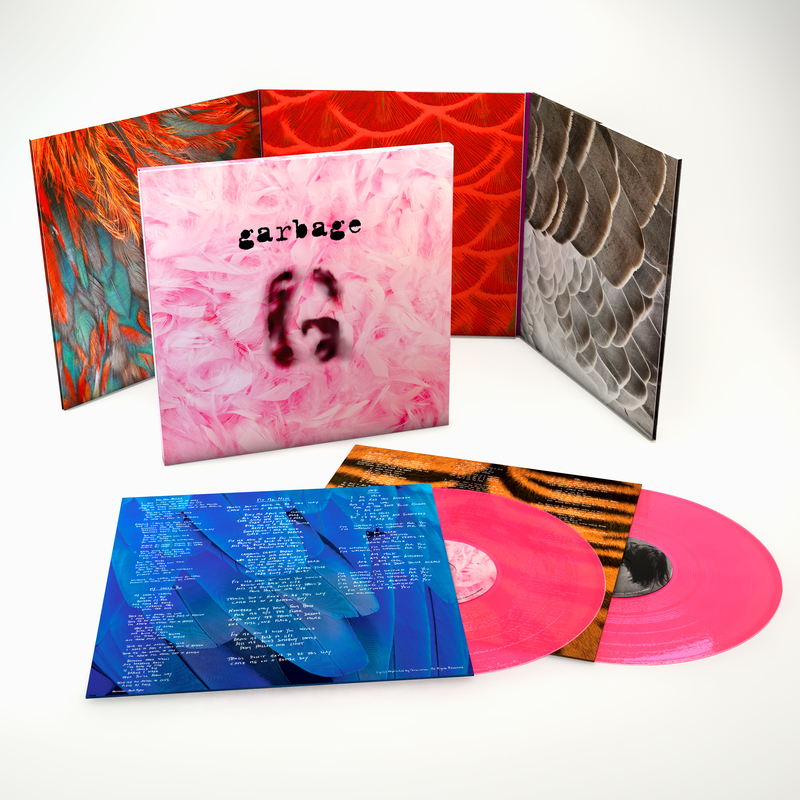 Jumping to the 90’s, the 20th anniversary edition of Garbage’ eponymous record is being reissued on 2 pieces of pink vinyl in a brilliant gatefold cover. The album has been newly re-mastered this year for vinyl using the original analog tapes. In other words folks, there is a whole lot to get excited about and this is just a tiny sample. For a complete list, hit the RSD website. Remember that all items are limited, so call your favorite record retailer to find out if they are expecting your pick… and line up early. There was a point a few years ago when I was pretty well convinced that the only American ‘rock’ band left that really mattered was Spoon. Starting with 2001’s Girls Can Tell, Spoon put together a string of four back to back records on Merge, with each new brilliant album being slightly better than the last. 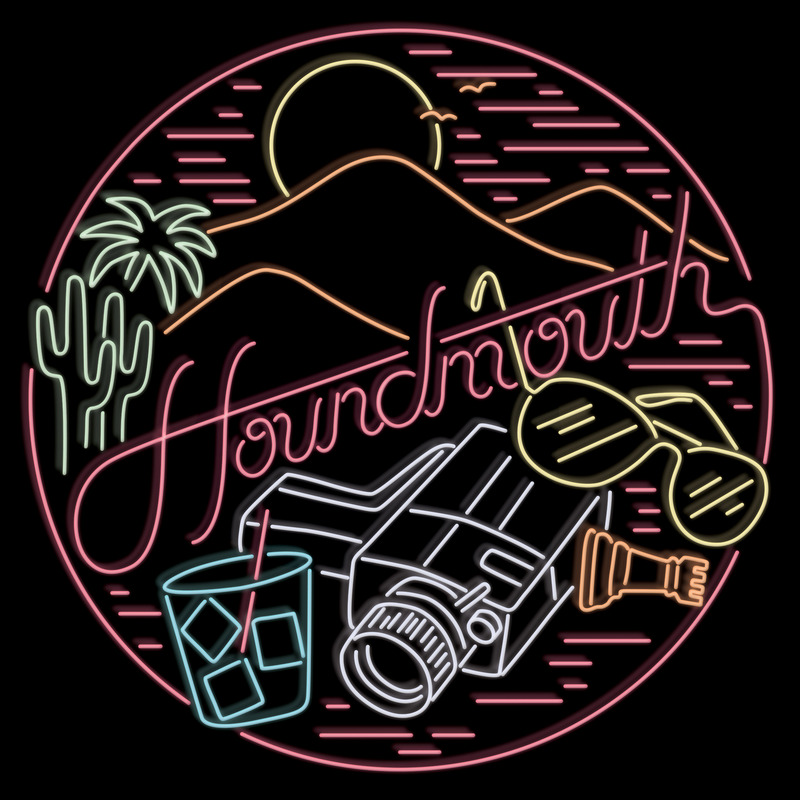 Their sound wasn’t based on 60’s surf, 70’s classic, 80’s synth, or 90’s alt-rock… it was, just a groove that made your head nod and forced you to pay attention. You see, Britt Daniel and Co. are more subtle than to give you an obvious influence and instead channel elements of opposing song writing giants to play off of. 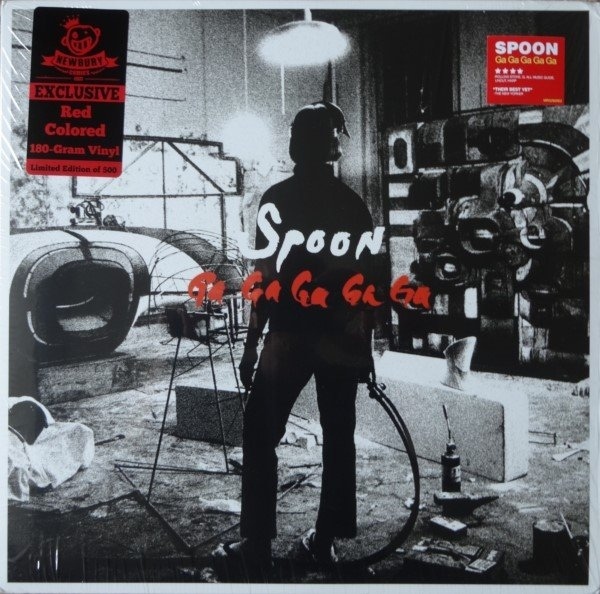 You get a bit of Costello, a smidgen of the Clash, a hint of the “wall of sound” with a touch of Bowie and then mix in a heaping of original creepy grooves and the result is Spoon. So, with all this enthusiasm, you know I have to add this to my vinyl collection. Of course the choices are limited to only two. The first is a still widely available regular black vinyl that comes with a download card. 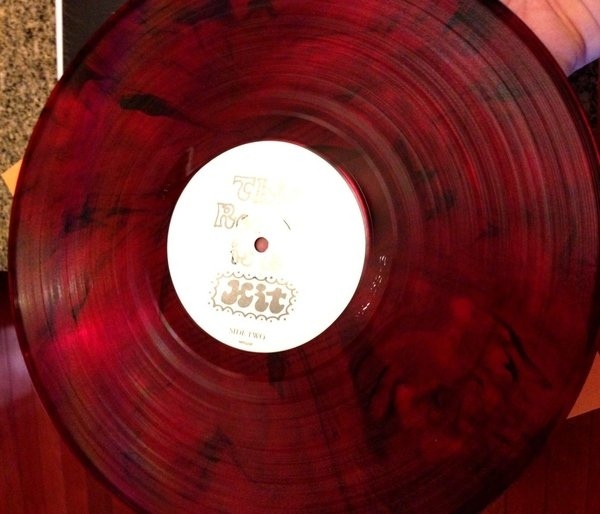 The second, released by Newbury Comics in 2014, is a very limited run of 500 in 180 gram red translucent vinyl that also includes a download card. As you can see, it is gorgeous. 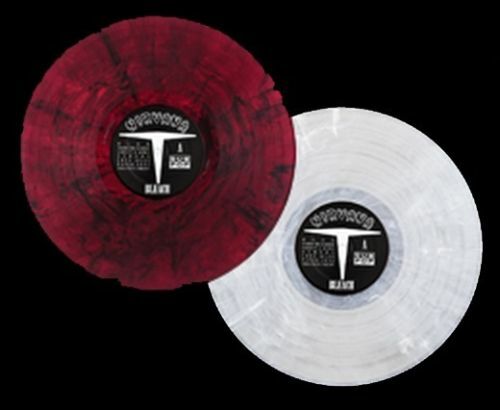 While you can get the standard black for about $20.00, you can expect to pay at least $50.00 on the reseller market for the Newbury edition. Just hoping I can find a copy on a trip to the U.S. so I don’t have to pay a ton in shipping costs. A while back I wrote a piece about treating everyday like Record Store Day. Thing is, while I don’t really want to endorse one retail place over another, a good deal of the “new” collectible vinyl I have gotten my hands on has been through Newbury Comics. I get an e-mail, I check out the price, and then decide if it is something I REALLY want. However, like RSD itself, it does come with its detractors. There are those people who would argue that having “special” “limited” “collector” or “variant” editions of records raises prices, causes delays in arrivals of new releases and is an overall cash grab. Generally speaking these limited run records do cost a couple bucks more than the common black vinyl editions. 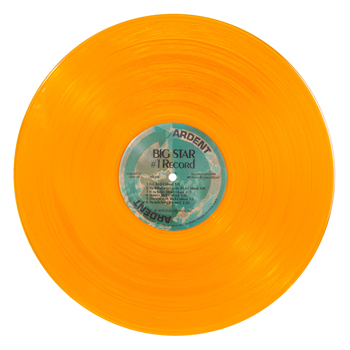 There is also the question of how many variants are needed for a single record. 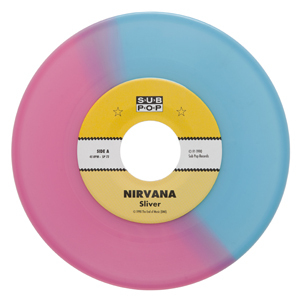 Between 2009 and 2014 there were no less than nine official re-releases of Bleach by Nirvana in 180 gram vinyl and in almost all the colours of a rainbow (blue, green, yellow, red, maroon, white and clear). Two of these colour choices came from Newbury itself and both quickly sold out. 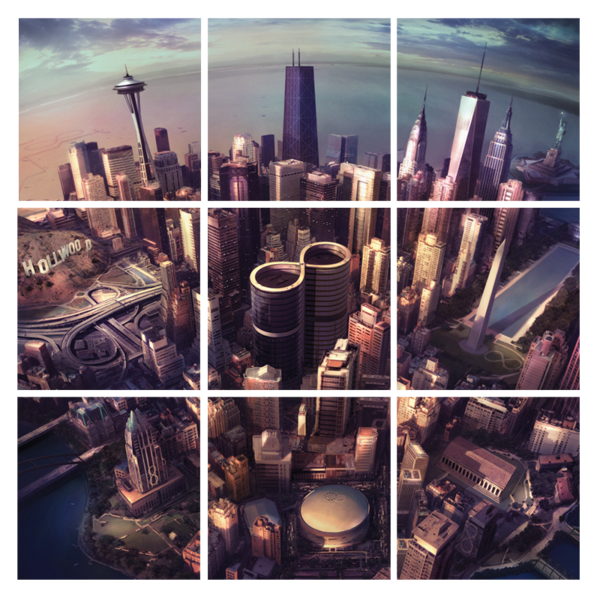 Still, for me the question is, does the vinyl sound good, and is it giving me a unique fan experience. I don’t go to e-bay resellers who charge way above market after the fact, but I do find it interesting what people will charge for what is essentially scalping records instead of tickets. Of course my ego plays a part as I find it cool to see something I bought for $20.00 have a new asking price of $100.00 and that only 749 other people on the planet own a copy. At other times, it gives me an opportunity to buy something I wanted to get, but in a different form. In fact, with music moving more towards a digital medium I think a bands best chance to make money from their “true fans” (those willing to spend money for their music) is to provide them with a variety of formats and “special” opportunities to receive their music in a unique way. The other thing is they do make awesome gifts for those hard to buy for people. 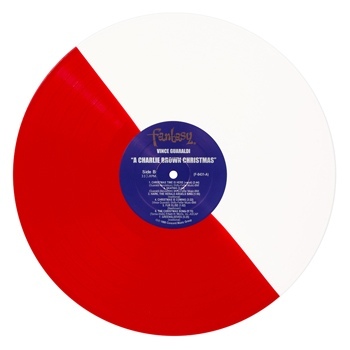 I gave a copy of A Charlie Brown Christmas in red and white split vinyl to a very happy friend. So you see this is where Newbury Comics comes into the picture. For a couple years now they have been offering music fans a chance to get “limited edition” vinyl. The prices are competitive with most record stores for the same records that sit on their shelves and the shipping cost is quite reasonable. To date I’ve never had problems with any of the vinyl shipped to me. As for sound quality, I’ve played Big Star’s #1 Record gold coloured variant against the recent 180 gram edition, and I found both items sounding great… in fact, I’d lean more towards the gold variant as it “seemed” to have a bit of a warmer tone. Anyway, new items seem to hit the market every week, and the choices are pretty eclectic ranging from the Coltrane to Nirvana and points in-between. Check them out, you might find yourself signing up to the old mailing list and buying something from time to time. Just don’t be too disappointed if it gets sold out before you get your shot. It’s happened a couple times to me and caused a slight bit of teeth grinding and cursing. But then again, that’s all part of the fun of getting something worth having. 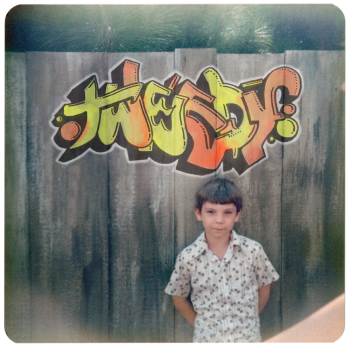 Some links to past vinyl releases I wrote about that came from Newbury. Here is this weeks playlist. I will update the song stuff as I go. Yeah yeah, Lazaretto, great record… not much more you can say. 3. “Freak Scene” – Dinosaur Jr.
From Bug, because Spotify doesn’t have Bug Live, “Freak Scene would kinda be considered the hit, if such a thing really existed for a cult classic. You can pick this up at some of the better record stores out and about, but the special purple splatter vinyl is sold out. Great record that keeps finding its way onto my turntable. Did a write up on this a while back. Still think “Born to Run” is the perfect classic rock tune. This arrived from Newbury Comics last week. Sounds frickin great and is still available here. Such an awesome sound on this band, just had to get a couple of their records. Listen and you might agree. If you do click here. Couple years ago I was listening to these guys and thinking how great they were. Finally picked some up on vinyl. What I said just a few days ago. The most frickin’ expensive record I paid for last year and I’m not happy about it. The shipping cost was almost the price of the record, than I got nabbed for duty, than UPS thought I didn’t pay and tried to make me pay a second time… arrrrrrr! Why did I go through the trouble? Well, there was this cardboard 7” cover of Roky Erickson’s “Two-Headed Dog” that came with the pre-order. You could only get it through the advance order and I’m a sucker for cool collectibles, so a small fortune was paid out. Funny thing is people on e-bay are trying to sell that same 7” now for between $60 and $90. Another problem record but this time there was an easy and awesome resolution. My initial copy was warped and played like crap. I wrote the distributor and was expecting to jump through a bunch of hoops. Nope. They fired a message right back that a new copy was on the way. So, I only had to wait an extra few days. With the ‘yellow swirl’ vinyl was a copy of the CD (standard with the vinyl purchase) and I was a very happy camper. Great record! This double album came in two 180 gram vinyl records with download card and a 12” poster of the band as playing cards. Outstanding record musically and came as a copy of 180 gram white vinyl. Beautiful piece of work. Real fans BUY their music!